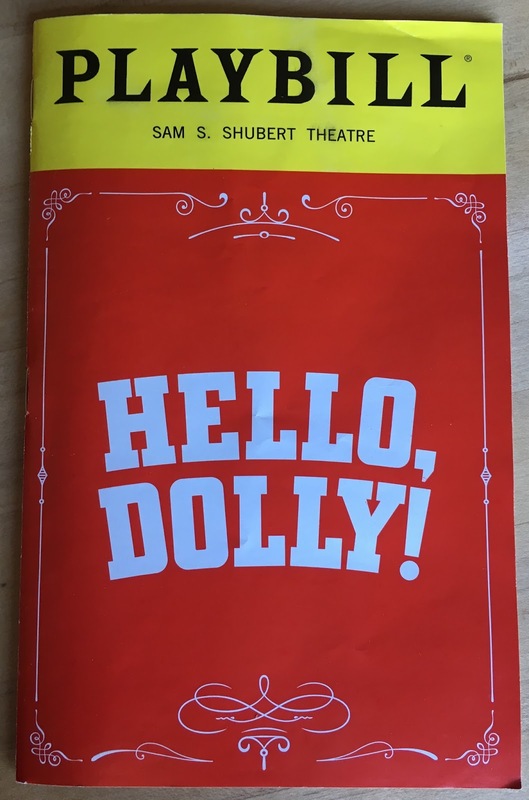 Summary: A yummy new revival of the 1964 classic musical based on Thornton Wilder's play The Matchmaker, about an ambitious woman in NYC at the turn of the last century who "meddles" in everyone's life, and is also looking for some happiness for herself. Highlights: Why revive Hello, Dolly! again right now, you ask? Because Bette Middler was born to play the role of everyone's favorite meddler Dolly Gallagher Levi. Helly, Dolly! has always been a star vehicle, and no one better to drive it than Bette Middler, aptly referred to as The Divine Miss M. It's obvious she has years of experience performing on a stage; she's so natural and confident up there, with impeccable comic timing, and knows how to work an audience. Although in truth she had us in the palm of her hand the moment she lowered the newspaper to reveal herself during the opening number. This was an audience primed to love her, and the show, and we did. There's lots to love about this production besides Bette's incomparable performance. It's a big old-fashioned traditional musical that spared no expense in the set or costume departments - a massive moving train, three-level feed shop, luxurious restaurant set, and corsets, bustles, flounces, and hats in a breathtaking array of colors - Sunday best indeed! (Scenic and costume design by Santo Loquasto.) The supporting cast and ensemble is wonderful too, including the ever charming and entertaining David Hyde Pierce as the lovable curmudgeon Horace, the ever dreamy Gavin Creel (see my Hair obsession circa 2010) as Cornelious, singing "It Only Takes a Moment" (swoon! ), an adorable Taylor Trensch as Barnaby, and the delightful Kate Baldwin and Beanie Feldstein as Irene and Minnie. Warren Carlye's choreography is absolutely thrilling, with a "be our guest" number to rival any Disney show. 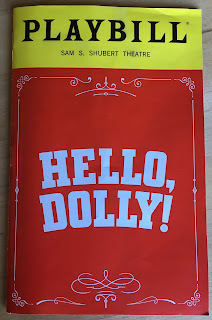 I attended the second preview performance of Hello, Dolly! (official opening is April 20), and it is already obvious that this yummy show is going to be a critical and popular success!